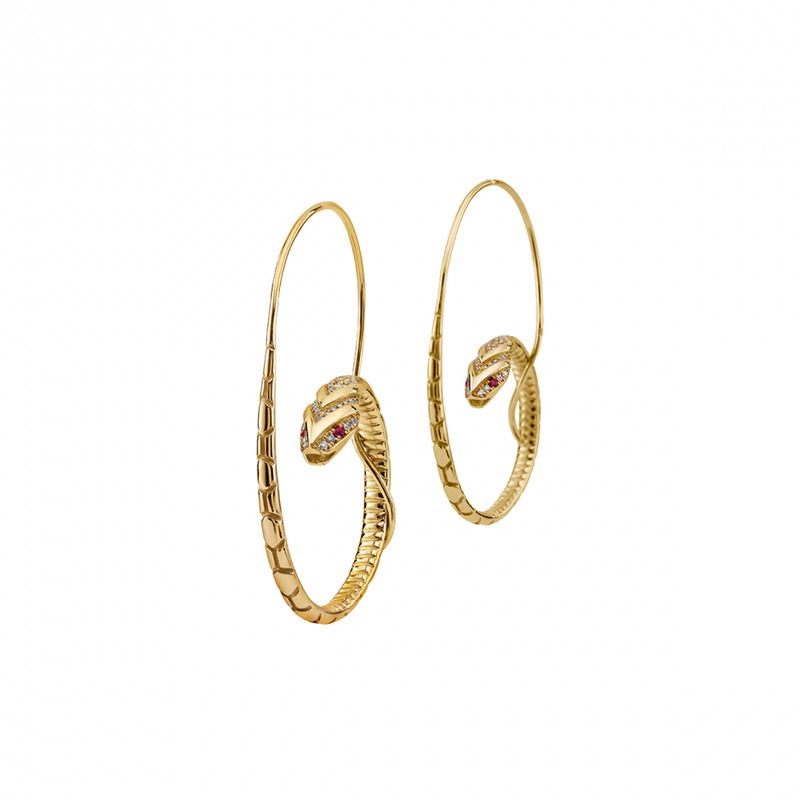 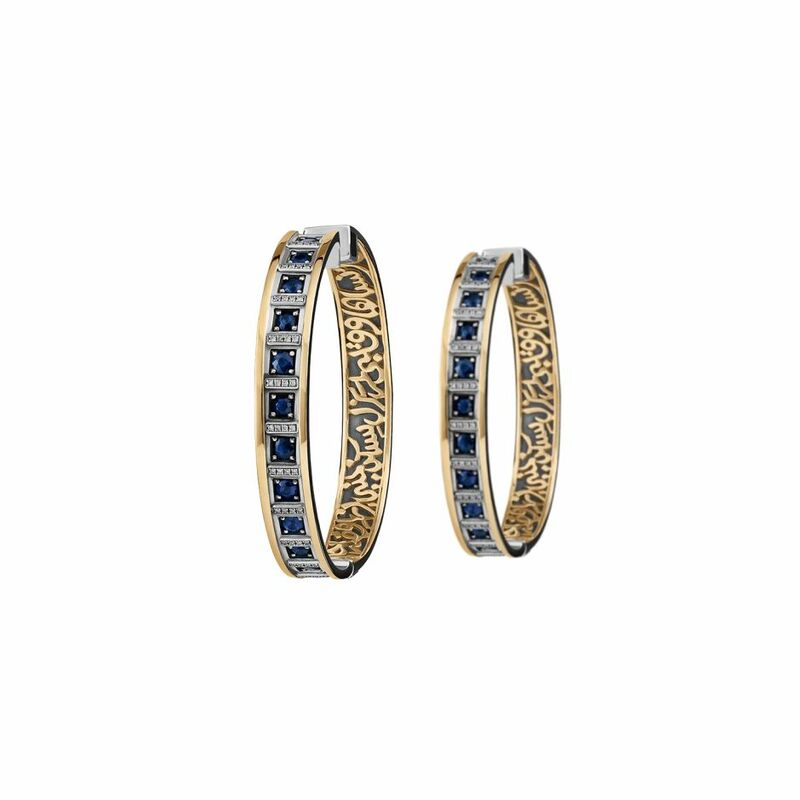 18kt gold and sterling silver hoop earring adorned with 3.15ct Sapphires and 0.29ct Diamonds. 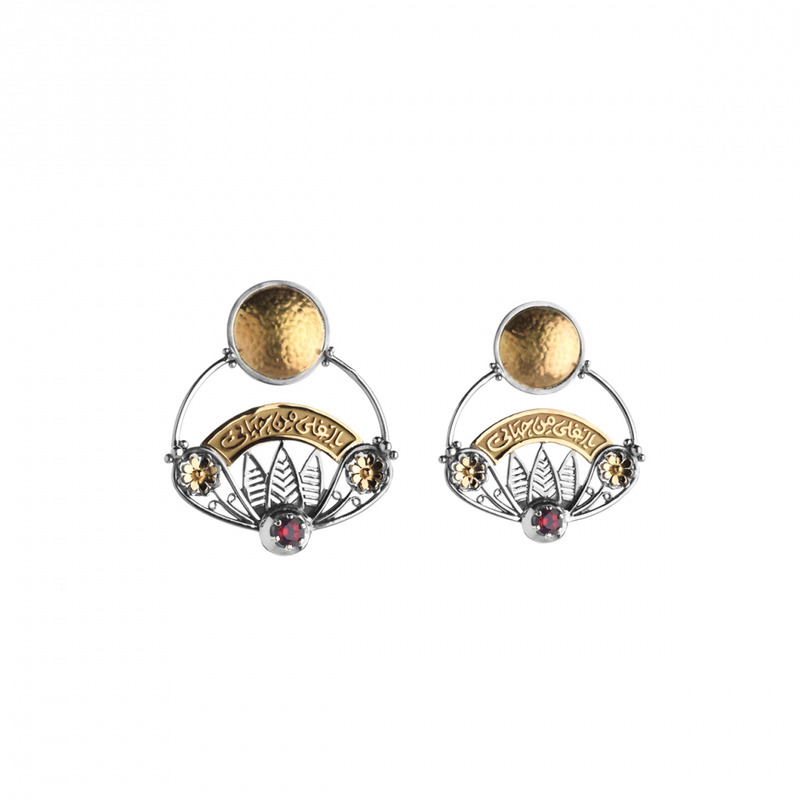 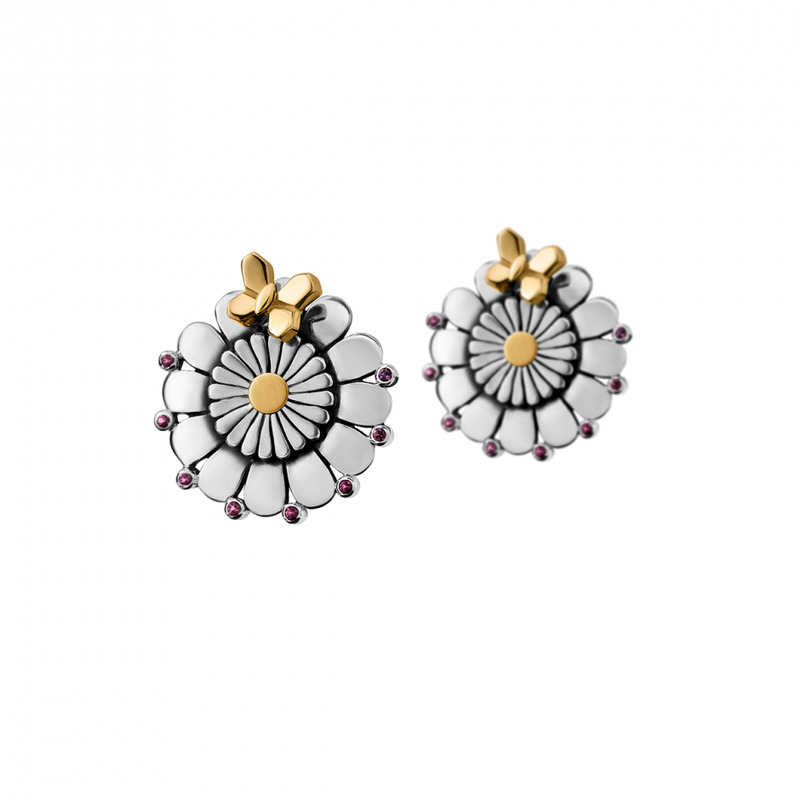 Sterling silver and 18 kt gold earrings adorned. 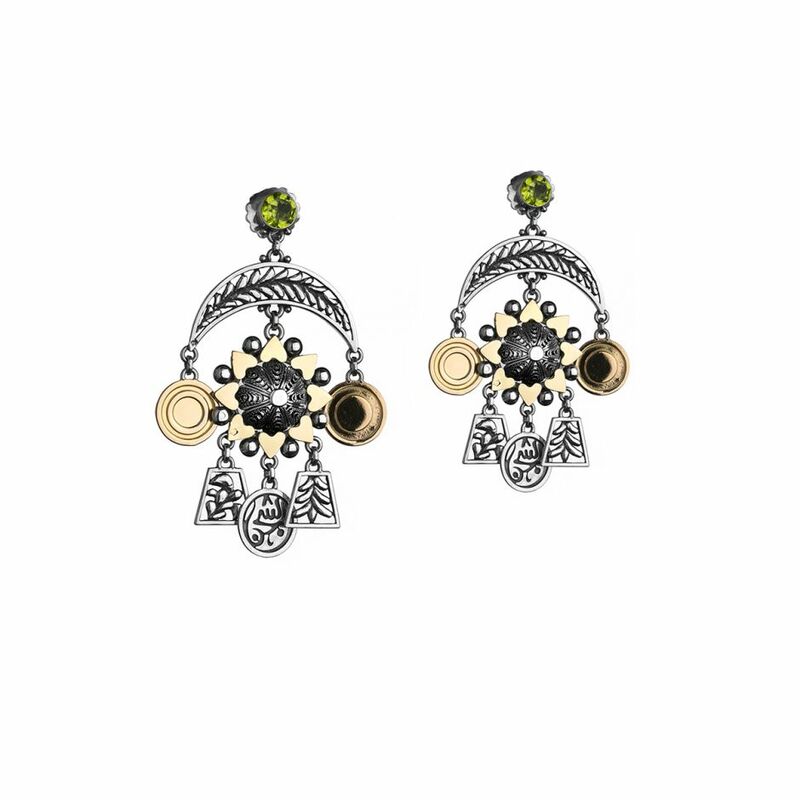 Inspired from the Bassari tribe, which represents cartwheel masks fashioned from the bark of the Akuf Tree. 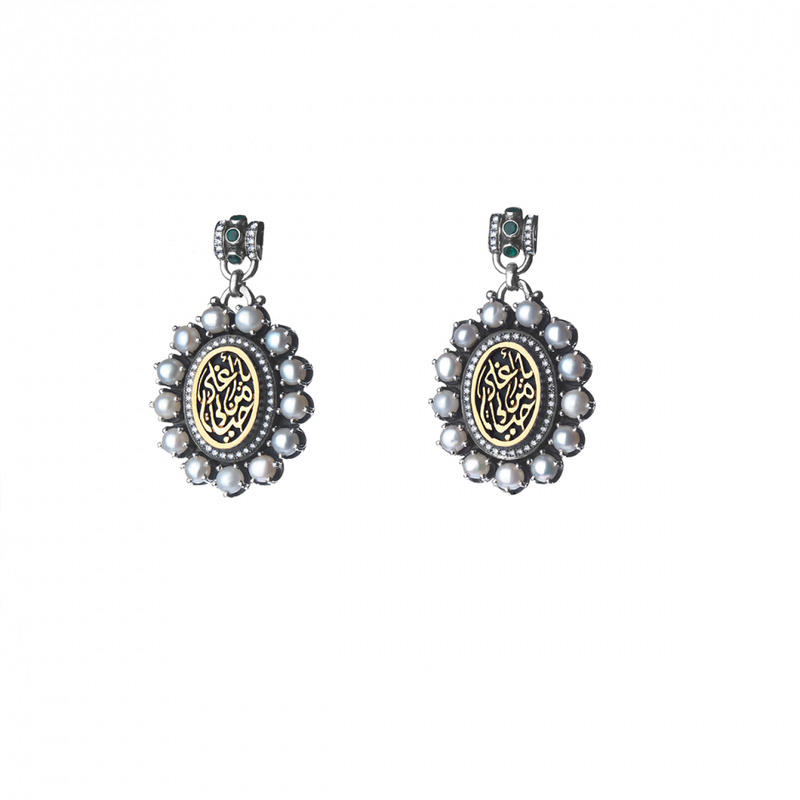 A magnificent piece of love and nostalgia bejeweled with pavé diamonds and precious stones all-around, reminiscent of antique Cameo jewellery.